Must be ordered and paid in full at least 24 hours in advance. Serves 5 to 7 people per foot. 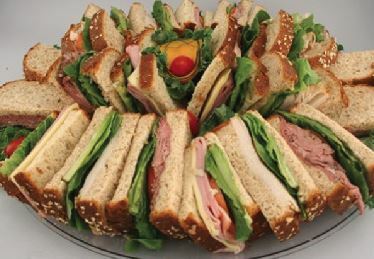 Choice of two meats and two cheeses, mayo, mustard, lettuce, tomatoes, onions and pickles. 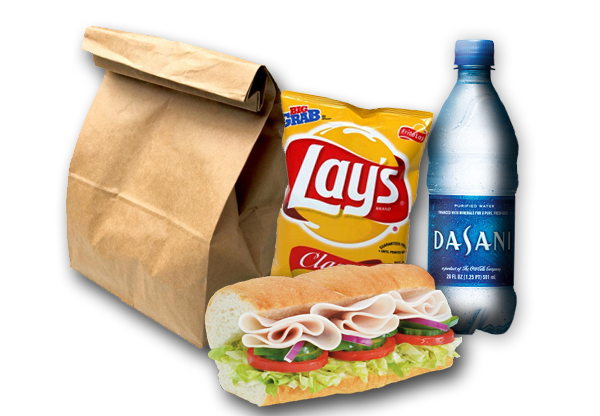 Bagged lunch with a 6 inch shackwich, bottle of water and a bag of chips. 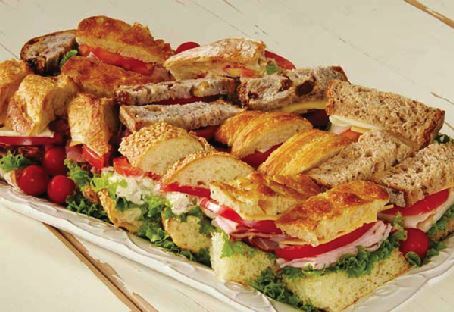 $8 each – 20 bagged lunches minimum. Available in multiples of 20 only.